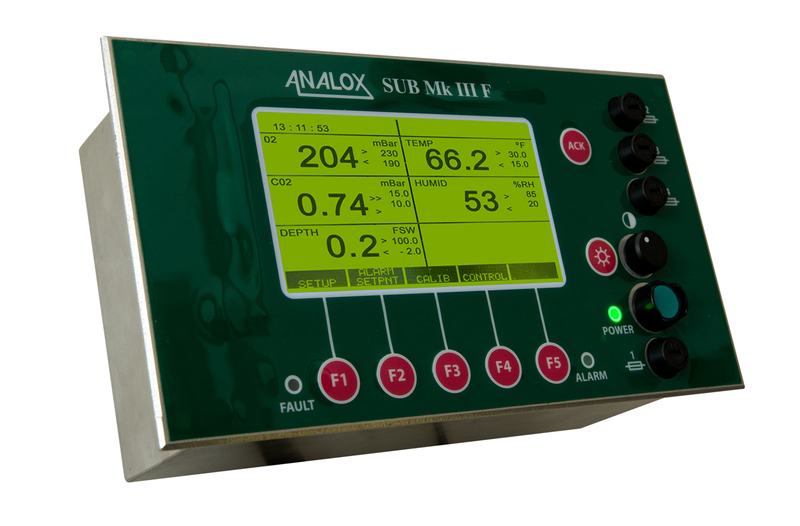 Removing the need for pumps, the Analox Sub MKIIIF is a cost effective way of monitoring hyperbaric atmospheres. 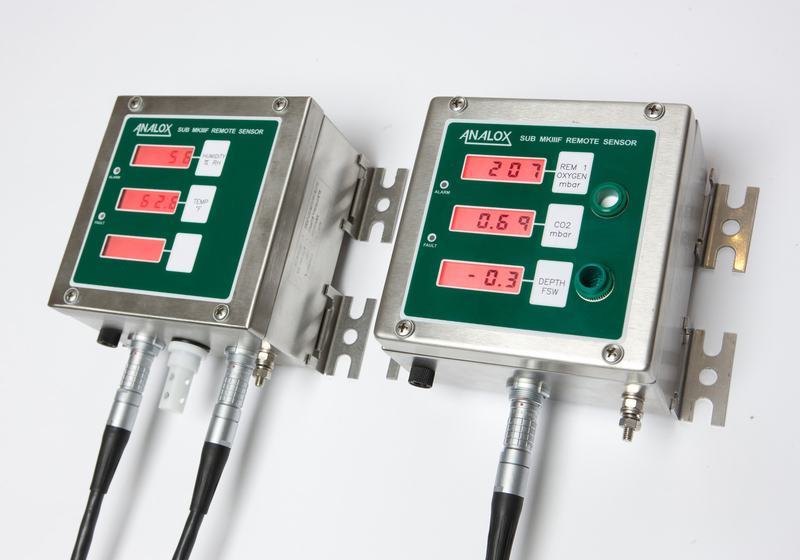 Ideal for use in hyperbaric chambers for HBOT or diving and monitoring the atmosphere in Submarine Rescue Vehicles (SRV's), the Sub MKIIIF measures oxygen (O2), carbon dioxide (CO2), pressure (depth), temperature and relative humidity. The Sub MKIIIF can also be configured as an O2 controller to automatically maintain oxygen concentrations to a preset level. 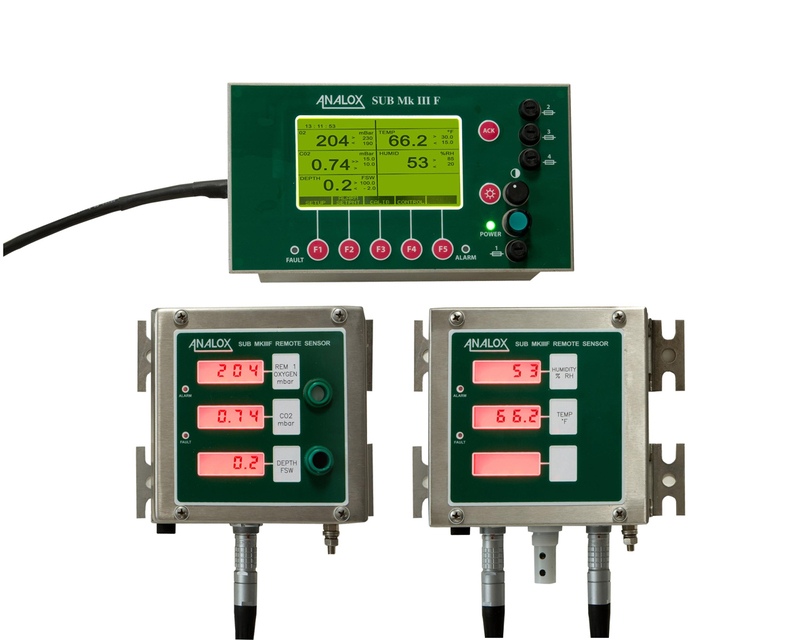 The O2 controller would typically be used to maintain the chamber oxygen concentration or the oxygen concentration delivered from a bibs system in an SRV. 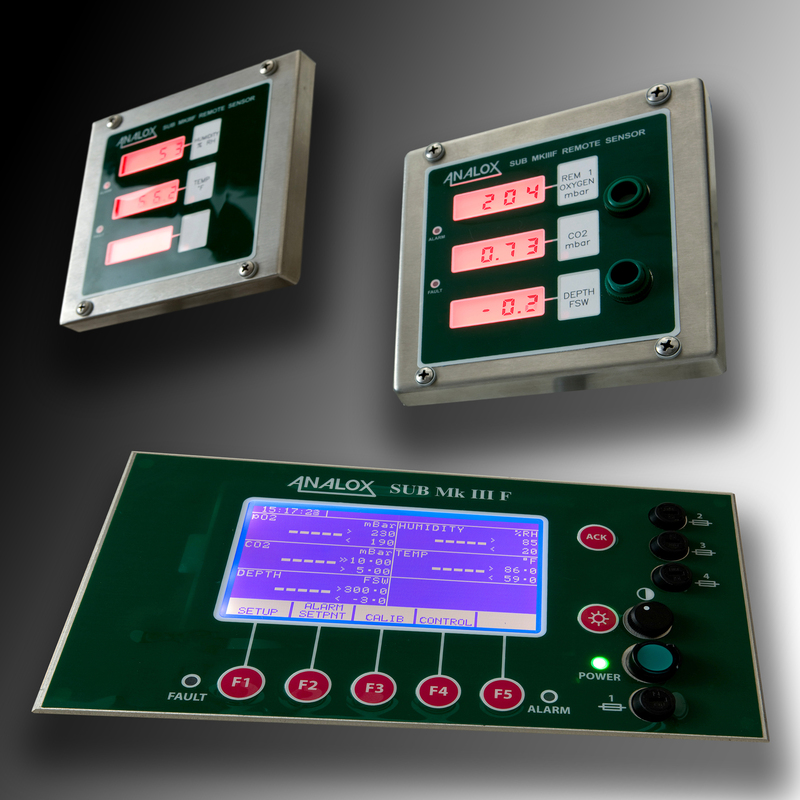 The Sub MKIIIF consists of a main control panel (operator console) and a number of remote sensor modules (REMs) with two audio / visual alarm channels available for each measured parameter.